This post started out as a guide for new bloggers. I planned on asking 10 of my favourite bloggers for some blogging tips to pass on to anyone who had just started blogging or were thinking about it. However, after reading all the wonderful advice, I realised that bloggers at any stage of their blogging career would benefit from these tips. 20 Blogging Tips from other Bloggers. Tamsyn from The Villa on Mount Pleasant has a beautifully styled vintage blog, a treat for the eyes on every page! Blog about something you are passionate about. Don’t go into blogging just to start making money, your content needs to be authentic. Use online information, listen to podcasts and read articles. Pinterest has lots of advice about blogging too. Read it all and then choose your own path. Old Fashioned Susie writes about modern vintage living she has a superb eye for colour and is based in Manchester. Be yourself, be authentic but know you dont have to share everything in order to do that. Find some blogging friends that ‘get’ what you do. 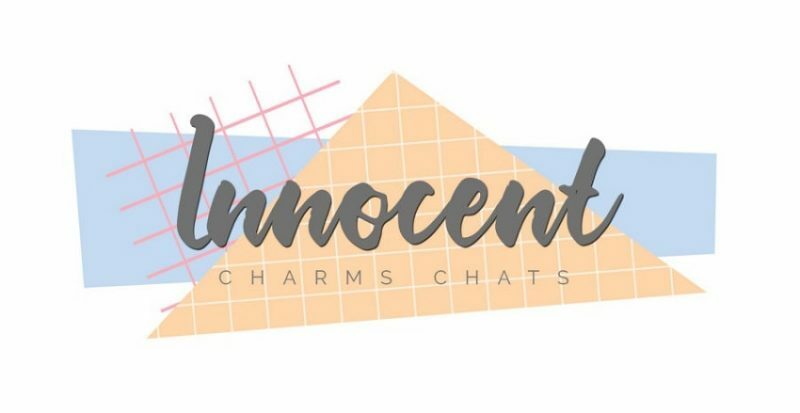 Kara writes Innocent Charm Chats an interiors life and style family blog. I love her sense of fun and down to earth attitude. Do not compare/compete. This is such a hard one to remember sometimes, but there is space for everyone, the most important thing is to do what makes you happy. Please dont think opportunities will fall into your lap. With the rise of the Blogger and many making it their full time jobs many people think it is easy. It takes an awful lot of hard work. It takes time to build relationships with brands and PR’s. The best way is to build relationships with other bloggers, so you can share opportunities with one another. Lucy from Lucy Loves Ya writes a inspirational Interiors and lifestyle blog. I love her house and her colourful life. Think long term, write posts that you will still be happy with in a years time. Love what you do and don’t compromise. 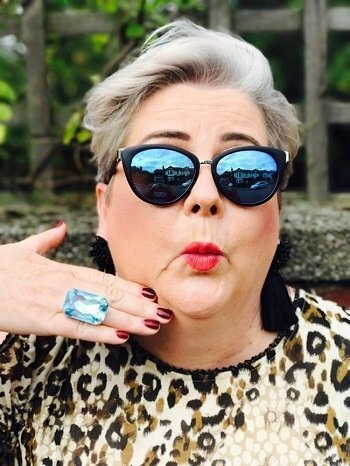 Laurie from Vanity & Me is a midlife fashion blogger with a down to earth attitude that I have long admired. Try to have all your social media accounts in the same name, so you and your brand are easily recognised. 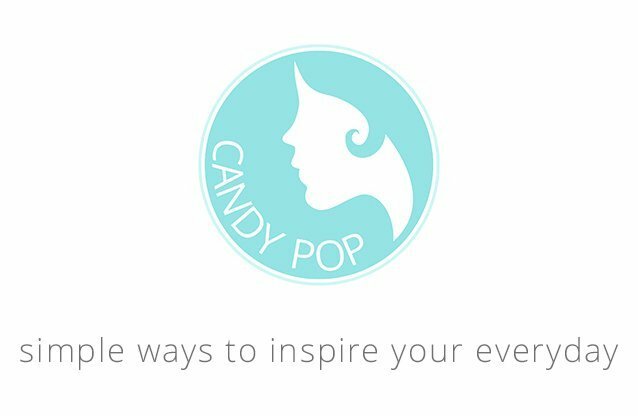 Natasha from Candy Pop uk not only has a beautiful blog. She has also recently studied to become a coach. Natasha is the person to turn to if you need any life or career advice. Quality over quantity, try to focus on useful and valuable content and be consistent with your posting. Write about your passions rather than what’s popular. Coming up with content ideas is a hard task if you dont love your subject! Sharon writes Best Before End Date a super fun blog about learning to enjoying midlife. She started it in Feb 2017. However, it’s such a brilliant blog, that by November 2017 she won a Vuelio Best Newcomer blog Award! Learn basic SEO (Search Engine Optimisation) This enables your posts to work hard for you forever by bringing a stream of traffic to your blog long after you press publish. Consistency is key to blogging as it is to most things in life. If you can only post once a week then make sure you do that. As you grow your audience they will look out for it and expect it. Don’t deliver consistently and you will lose your hard earned audience. Sharon is so passionate about blogging she threw in another tip for you! Don’t try to be all things to every social media platform. When we first start we think we should be on EVERY one of them. We can’t. That is how consistency levels drop and most importantly will make your passion fade. Find out which one works for you and where your target audience is and work on that. Its meant to be fun! Sarah writes Annaboo’s House a blog full of yarn and crochet fun. 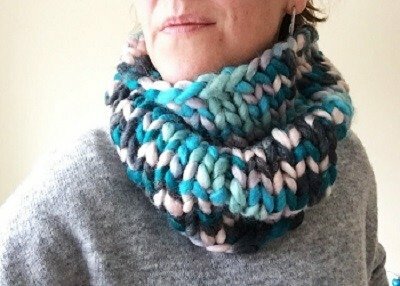 Sarah is also a crochet designer with a wealth of blogging knowledge. Find your own voice and let your personality shine through. Many blogs sound soulless because the language is bland. If your writing has its own unique style, readers will want to return again and again. Write about what you love, that way the words will come to you easily. Helen writes Not About The Kids a lifestyle blog and is the newest of the bloggers on this page. I enjoy reading her blog and her colourful sense of style. Sit in a quiet room, turn off your laptop or computer, close the door and leave your phone outside. Take a blank sheet of paper and write down ideas for at least 50 blog posts. I found it really got my creative juices flowing, and even if you dont use all of the ideas you have a great list to refer back to at quieter times. Post at least once a week, I am aiming for twice. Reply promptly and thoughtfully to any comments left on your posts. Try and work on your photography if you can, as good images are key to good engagement. Read lots of other blogs! Two blogging tips from me! These are more about what I wish I had known when I started blogging than actual tips. WordPress is the best blogging platform. I wished I had used it first instead of blogger. The plugins and SEO instructions are very easy to use. Start your own Email subscription as soon as you can. I suggest mailchimp for your account and mailmunch plugin, for if you are on wordpress as the forms are prettier. Do let me know, via the comments, if any of this helps you or has refreshed your blogging brain in anyway and do go and visit all these wonderful bloggers too. Thank you to everyone who helped me compile this post. I’ve enjoyed reading your tips. Older posts you may enjoy? Exactly ! and thank you for contributing to this post too, much appreciated! Lucy thank you so much for contributing! Happy new year, Ashley. Great post – thanks so much for including me! Thank you Natasha! and also for your wise words. Sending our bestest wishes for 2018. This really got me thinking Ashley, thanks for sharing the experience of all of these great bloggers! It is a great reminder to stay true to your passions and be yourself. I also really agree with the point that there is enough room for everyone. Hi Helen, that is what I love about it too! Not just beginners can benefit from these tips, they apply to everyone! I have found some great refresher tips too. Thank you for your contribution. I Have the house to myself tomorrow and will be trying your tip! Ashley I wanted to pin this to one of my Pinterest boards….do you have a pin button for it? Or have you already created a pin? Sorry, I’m just learning Pinterest so may just be a bit confused!!! There is a pin button with white font in the centre but its hard to see because the background of the pic is white! I did pin it on my blogging inspo board. You can also add a pin button to your toolbar its on the Pinterest pages somewhere! PS I too am aiming to get my Pinterest game together this year! Wow, even some of these tips have got me thinking. I think that is the thing about blogging you are always learning aren’t you? 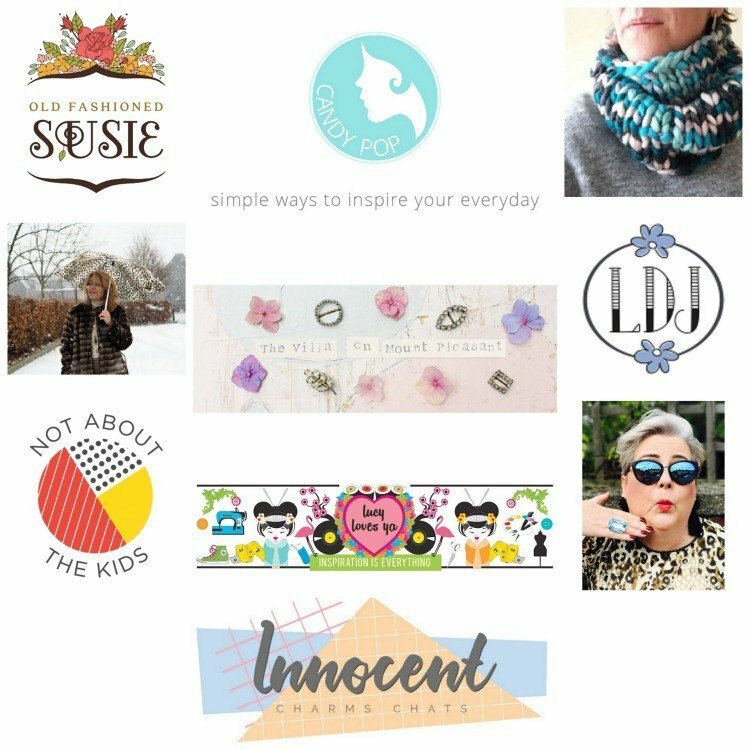 Truly thankful for featuring me amongst some seriously inspiring bloggers, thank you so so much. Hi Kara and thank you for contributing! Yes I would definitely set up your own email sub ! Its an honour to have you dear Susie!have a great Friday!